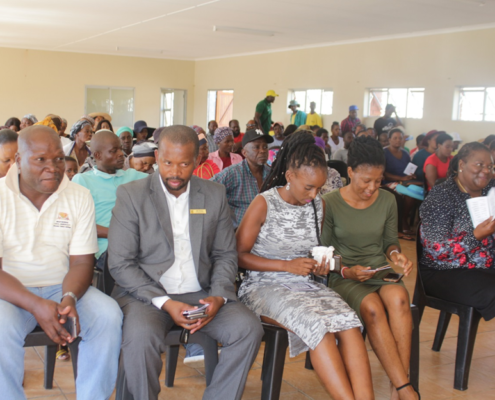 Various service delivery and infrastructure project across the uMfolozi Municipality where handed over to communities by Council and Municipal Officials. better life. 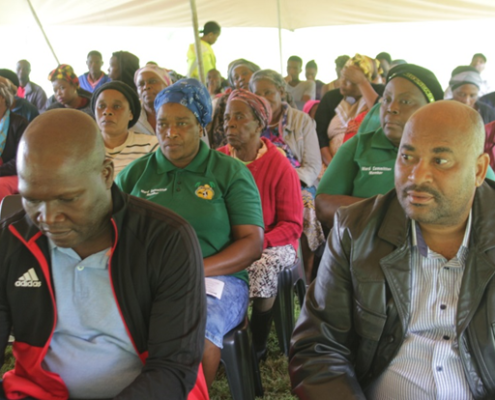 It was then resolved that each Ward in the Municipality must have centres for Early Childhood Development (ECD). 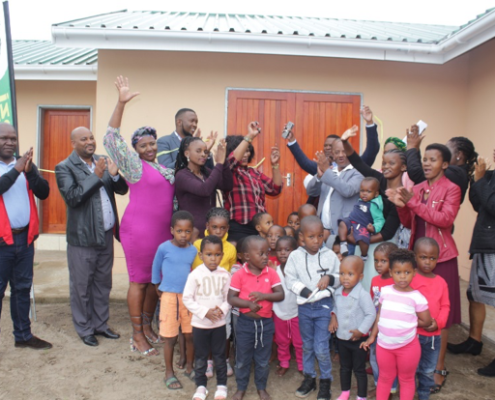 uMfolozi Cllrs and Management led by Deputy Mayor and Cllr SR Thabethe and Speaker of Council Cllr ZD Mfusi with the children from Kepeza Creche during the handing over of Kepeza creche in ward 5. 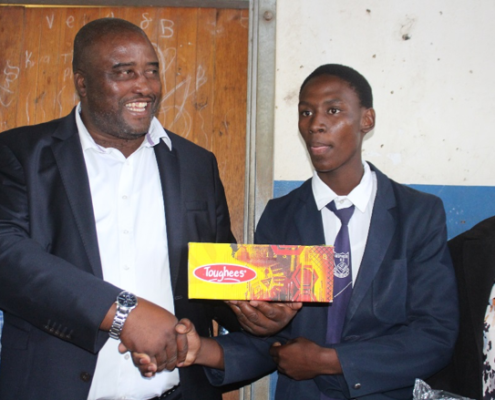 His Worship the Mayor of uMfolozi Municipality Cllr Smangaliso Mgenge handed over 200 school shoes at Ekupheleni High School. before June 2019. 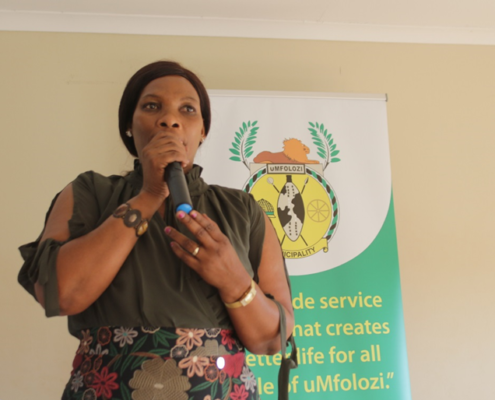 Deputy Mayor Cllr Smangele Thabethe pledged to bring sanitary towels to all the girls in this school. Mayor Mgenge firmly believes that no child should not attend school because there are lacking in school essentials such as shoes and uniforms. uMfolozi Municipality Councillors and Management led by Deputy Mayor Cllr SR Thabethe handing over Ezidonini MPCC in ward 2. The upgrade of rural roads is critical towards allowing adequate access to people in rural communities. 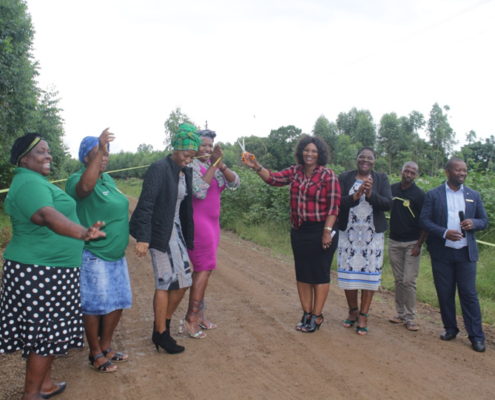 Roads are a key element in the provision of safe physical access to education, healthcare and other social services that are needed for any community to flourish. 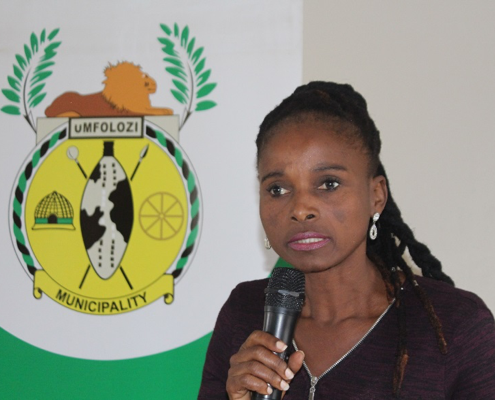 This is why the uMfolozi Municipality has taken a decision to upgrade access roads and sidewalks within the municipality. This will, in turn, spur economic growth by ensuring easy access to the community. Community members who attended the Koko Access Road handover. Generators were officially handed over to the Nhlabane and Mbonambi Clinic by the uMfolozi Municipality, Richards Bay Minerals (RBM), Department of Health and Mbonambi Traditional Authority. The interruptions of critical healthcare services due to power failures such as load shedding will now be a thing of the past for patients and staff in both clinics. The Clinics operate on a 24-hour basis and need lights to be on at all times, in order to serve the rural communities. 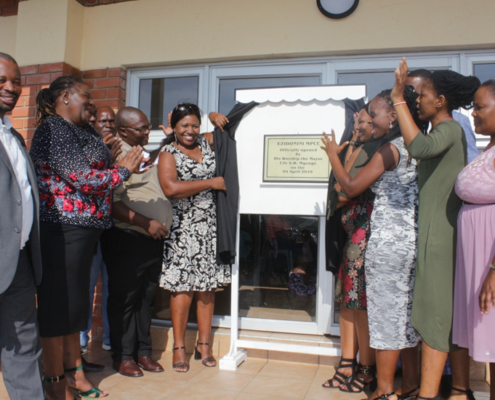 Provincial Department of Health, Primary Healthcare Manager, Gcina Radebe, welcomed the donation of the generators and said it is critical for a clinic to have power in order to operate efficiently and save lives. Radebe also said the Department of Health, through the proposed National Health Insurance (NHI), aims to transform public clinics by ensuring they are fully equipped.